What is a diaper bag buddy ? I my option it is a must have for any parent ! 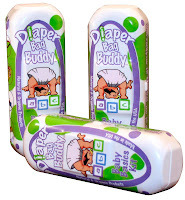 A product from Me4Kidz the diaper bag buddy is a perfect baby basics kit for a mom and baby on the go. We have already put ours to use. When my little one was visiting grandma's house and got very messy grandma was able to use the organic shampoo & body wash to give him a bath. The kit is filled with tons of great products ! Priced at $5.95 you can get one for the diaper bag, car & Grandma's house and be prepared at all times. Any expecting or new mom would love this as a gift for a new baby ! I think it is such a great product! A wonderful shower gift.